I love stumbling across new audio dramas that I’ve never heard or heard of. It doesn’t happen very often so when I found out about the Nick Guy, Private Eye apologetics series from Dominion Artists, I knew I had to try it out. I’m so glad I did. The series follows Nick Guy, a (somewhat bumbling) private eye, and his sidekick, Dr. DeSoto (the soft-spoken and wiser of the two) as they solve mysteries together while learning about arguments to strengthen the faith of Christians. The show was created by Frank Ulle. He writes and produces the series along with playing the two main characters and several others. Rebekah Bradford is a script consultant for the show and plays several characters, including April June and Mrs. Doddery in the production I'm about to review. The series is done in an OTR (Old Time Radio) style and is a spoof of the detective genre. It’s not a series that takes itself really seriously as it is kind of in the vein of the Sam Maritan sketch from "The Big Broadcast" on Adventures in Odyssey. Today, I’m reviewing the latest installment of the series, The Fair is Fair Affair. 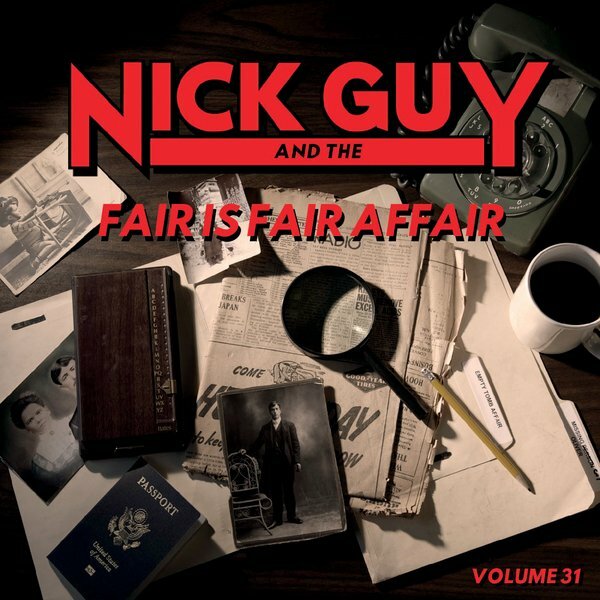 Nick Guy & the Fair is Fair Affair, finds Nick Guy & Dr. DeSoto involved in the case of a missing 17th Century Moravian Hand-Carved Smoking Pipe. Along the way in their investigation they find themselves exploring what it means to have a Christian understanding of economics and how this plays out in both capitalistic and socialistic systems. This story is split into 3 different episodes running 25 minutes each. The episodes begin and end with an announcer like the OTR detective shows do with each finishing with questions from the announcer to the audience about what will happen next followed by one last quick, funny line from the title character. A la Dr. Watson from Sherlock Holmes, Dr. DeSoto narrates the case in some places. I really enjoyed the cast of characters/suspects. I do enjoy hearing from the two main characters, but the people they meet are very colorful ones. There are two in particular that I really liked. One is the character C. Dawkins Shyster, the integrity-challenged lawyer, played by Jon Bradford. Shyster will remind AIO listeners of Howard J. “Weasel” from "A Victim of Circumstance". He looks for an opportunity to sue anybody for any reason. One line in particular where he accidentally describes himself as a shady person made me laugh out loud. Another line about non-consumable peanuts on the airplane was pretty funny too. Probably the most stand out performance in this production is Glenn Hascall who you may have heard in Time Chroniclers and Coral Island Adventures. Hascall plays Lieutenant Falk; a character with a Columbo-style voice who is very enjoyable to hear. Lieutenant Falk is a much more competent detective than Nick Guy, but is a big fan of his. As for the theme of this story, it teaches about what a Christian should do when it comes to economics. There’s a character in this story that is modeled after a public figure in politics that many will recognize. It’s a gutsy move. The story doesn’t name any political parties, but it allows for the story to address what socialism is and how it goes against the Bible. One thing you might hear nowadays is people claiming that Jesus was a socialist. In the course of the story, this is debunked along with other similar claims. Issues about fairness, good stewardship, and generosity come up as well. A lot of the teaching comes from the character of Dr. DeSoto along with some help from Nick Guy. The disagreements between them and the socialist character are always respectful which shows how Christians should conduct themselves when debating issues like these with non-believers. As this is not a production made by a big organization, the overall sound quality is not the greatest. The sound effects are kind of sparse with only a few used in each scene. However, this may be intentional as the show is made to be similar to an OTR show. There are also some plosives (“p” sounds popping in the recording) and some breaths from the actors that are not edited out. There is sometimes a little too much exposition where characters tell the listeners what is happening rather than let the drama speak for itself. In regards to the aforementioned teaching aspects, while it sometimes flows with the story well, there are times where it feels a little forced into a scene. There is one scene where it seems like too much was packed into it. However, it appears that the writer knows this because there’s a pretty funny joke that kind of pokes fun at the continual stream of info at the end that makes it worthwhile. With that out of the way, the place where this production shines is the writing. The dialogue between the characters is excellent. There are so many funny lines and quotable quotes! There are also some recurring jokes. One was the airport staff paging the same thing over and over at different locations. The other was the multiple mentions of the “17th Century Moravian Hand-Carved Smoking Pipe” by different characters. Both of these do get a little overused, but are still fun. As with other Nick Guy dramas, there are always some LOL moments. The teaching aspects, while sometimes not executed as well as they could be, are compelling to hear. The mystery is well written. There are several twists and turns and I did not really guess "whodunit" until near the end. The music for the show, which is also composed by the creator of the show, Frank Ulle, is very fun to listen to and adds to the whole detective feel of the show. At this point, I’ve listened to five of the Nick Guy dramas. My first introduction was the "Child of Bethlehem Affair" and it is (so far) my favorite. However, the "Fair is Fair Affair" is probably right behind that one. There are a lot of discussions that parents can have with their children about the material taught in the drama. It’s definitely an issue that is quite prevalent in today’s society. I would recommend this production to pretty much anyone. If you like mysteries, old time radio, witty dialogue, apologetics, or all of the above, you will enjoy this diamond in the rough called Nick Guy, Private Eye. You can find this production and others on Amazon, iTunes, and Google Play. The MP3s are very affordable so they make a great impulse buy. You can also buy CDs of Nick Guy as well on CD Baby. For more information about the series, visit the Nick Guy homepage. Austin Peachey is a die-hard reader and audio drama fan. 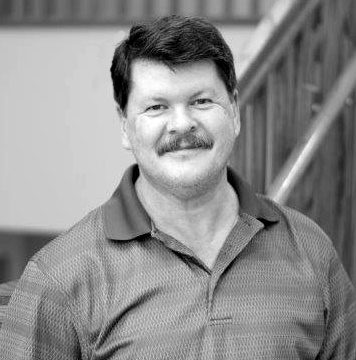 He's run the Adventures in Odyssey Blog for over 9 years and has produced a few audio dramas of his own. He's also worked on the 2nd edition of The Official Guide to Odyssey and can be heard on Iliad House. Disclosure: This post contains affiliate links. ATC receives a small percentage of your purchase when you buy these products via our links. Thank you!